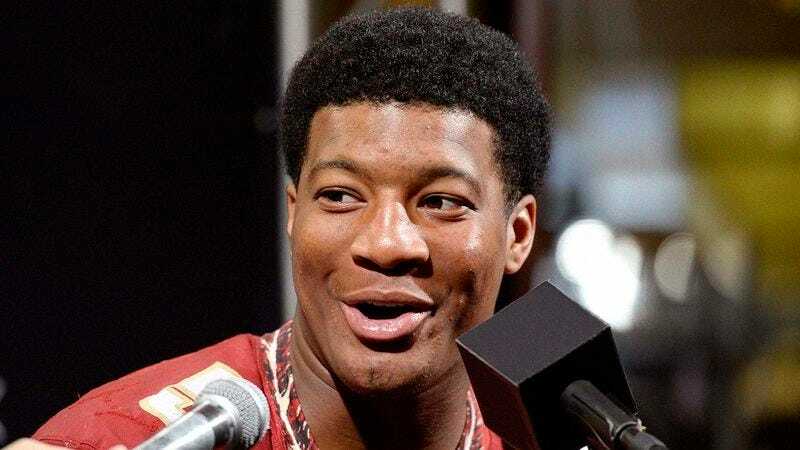 TAMPA, FL—Speaking to reporters Tuesday about potentially continuing as a two-sport athlete after college, Florida State quarterback Jameis Winston refused to rule out the possibility of someday playing baseball in prison. “I’m a football player first and foremost, so that will remain a priority, but it’d be great if I can play both football and baseball while I’m incarcerated,” said Winston, adding that he has the drive and ability to be a multiple-sport athlete for at least several years of his prison sentence. “It’ll depend on how much time I have in the yard each day, and I’ll definitely want to make sure I have the support of my fellow inmates before I commit to anything, but if the circumstances are right, I think I could easily be a top pitcher in whichever penitentiary I end up going to.” Reached for comment, several NFL general managers privately told reporters that any possibility of Winston pursuing baseball in prison would not at all dissuade them from drafting him.